Sanctions on Tehran over its nuclear program can be imposed only after all other possibilities are exhausted, Russian Foreign Minister Sergey Lavrov has said. According to the official, so far the United Nations Security Council has no new draft resolution imposing sanctions against Iran. Currently the issue is discussed by the six-nation negotiation group comprised of the five permanent members of the Security Council – the UK, France, Russia, the US and China – and Germany. 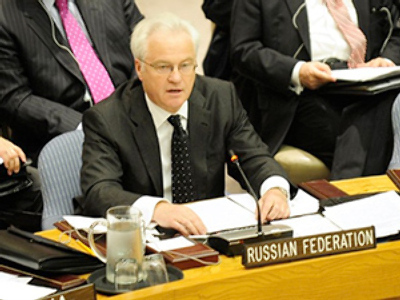 Last week, American, French and British diplomats said they had sent draft proposals to their Russian and Chinese counterparts at the UN, RIA Novosti reported. “Our Western partners are discussing ideas that they believe could become the core of such a resolution,” Lavrov said Tuesday at a media conference following a meeting with his Finnish counterpart Alexander Stubb in Moscow. "The time for sanctions comes when all other possibilities for the settlement of a problem are exhausted,” he said. Lavrov underlined that “sanctions should not affect the humanitarian situation in any country and should not create problems for the civilian population”. “We believe there still is a possibility of a diplomatic solution to the problem,” assured Lavrov. Earlier this stance was voiced by President Dmitry Medvedev during his talks with French leader Nicolas Sarkozy in Paris. “However, we do not rule out that if Iran ignores the International Atomic Energy Agency (IAEA) proposals, the problem will be raised at the UN Security Council,” Lavrov said. The draft proposed by the UN nuclear watchdog and approved by the international negotiators’ group saw the Islamic Republic sending 70 percent of its low-enriched uranium abroad in return for special fuel for its atomic medicine reactor. Iran would ship its low-enriched uranium to Russia, where it would be enriched further and then sent to France for conversion into special fuel rods. This way the West could make sure that Iran did not enrich uranium, which could be used to produce nuclear weapon. Iran has always insisted it is interested in nuclear energy for peaceful purposes. Even though Tehran had accepted the deal in principle at Geneva talks with the Group of Six in October 2009, later it clarified the details and put a counter-proposal on the negotiation table. The country said it could consider a swap of its low-enriched uranium for 20 per cent-enriched uranium, but that the exchange should be simultaneous and would have to take place on Iranian soil. Adding fuel to the fire, the Islamic republic announced in February that it had started to produce higher-grade enriched uranium. The move caused harsh criticism and calls for new sanctions against Iran. Tehran, in response, threatened to withdraw its proposal if sanctions are imposed. Currently, both the IAEA and Iranian proposals are still on the table, but the situation seems to be in a deadlock. During their meeting in Moscow, the Russian and Finnish foreign ministers discussed relations between Russia and the Europe. Among other issues, visa-free travel came to the forefront of diplomacy again. Alexander Stubb promised that his country would make every effort to push for visa-free travel between Russia and the EU, agreeing that it is in Europe's interest to keep Russia close. He also called for a new partnership and cooperation agreement. 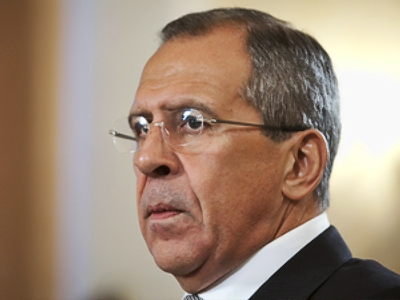 Sergey Lavrov said Moscow is keen to eliminate any stumbling blocks on the path to a new visa regime. “I can see that many members of the EU wish to introduce a visa-free regime, and this wish has been voiced at the top level. I know that dialogue regarding this issue is underway between the EU bodies responsible for it. We understand that, for this decision to be taken, there is a need for a consensus inside the EU, which is one of our goals outside Russia, while we are ready to take additional concrete steps inside Russia to achieve a visa-free regime,” Lavrov stated. Among other issues, the ministers also discussed custody battles that Russian mothers are currently waging with Finnish authorities.